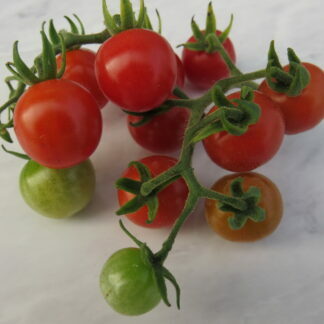 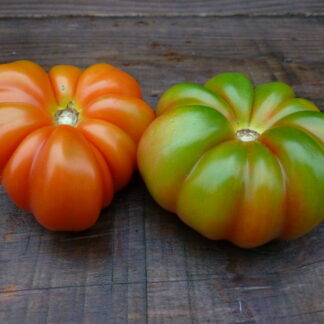 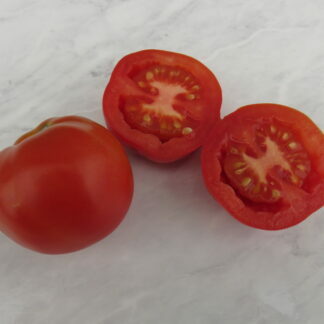 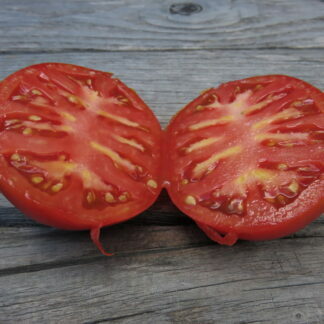 Matina is one of the most productive tomato varieties we have ever grown. 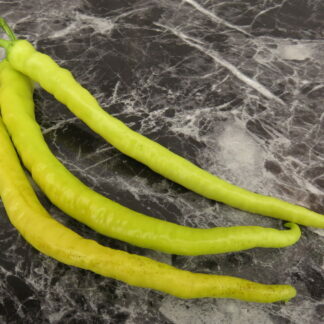 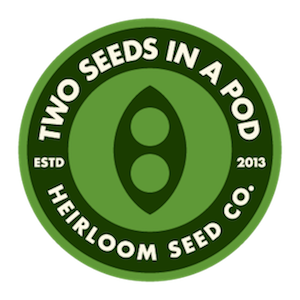 Tall and strong plants have vigorous growth and produce 3-4 oz of fruits in clusters. 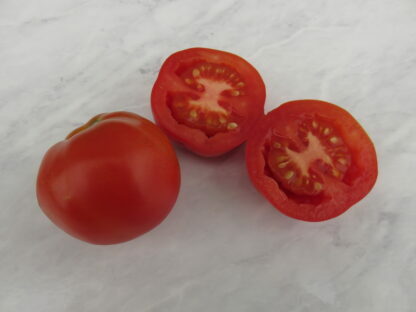 Round fruits ripen to a beautiful red color, and the flavor has a very good balance of sweet and acidic. 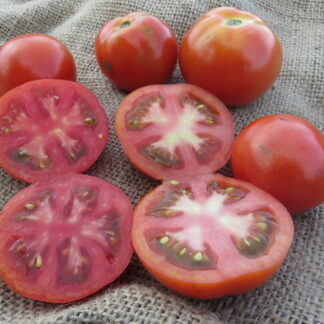 At 65-70 days, this variety was also one of the earliest tomatoes in our field.